C&I Tech and TELUS make a great team! C & I Technologies Inc. is an organization that commits itself to client satisfaction and retention; a place where people strive to make a difference in our clients’ businesses, and where we recruit and train only the best people to hold on to that tradition. We take pride in conducting business in a professional manner with customer care and quality of service as the backbone of our philosophy. We like to have fun but we work hard, because staying on top requires continuous improvement, creativity, and dedication. Interest in technology. Here at C & I Technologies you are immersed in the Information Technology (IT) field, whether it’s computer solutions or TELUS mobility business solutions. Your ability to thrive in a technical environment is key to your success. Excellent communication skills. The ability to listen and articulate well when communicating both internally with staff and externally with clients is fundamental to the team at C&I. Positive attitude and energetic. C & I Technologies has friendly staff members and welcomes customers with a smile. Relationship Builder. The backbone of our philosophy is customer care. A part of this customer care is building relationships as a means of offering superior service. Dedication and commitment. Most important to C & I Technologies is to see that an employee takes ownership of his or her work and commits to achieving outstanding results. Are you a client-focused, task-oriented, technically inclined person who thrives in an ever-changing environment of continuous learning? We have an exciting opportunity for an energetic, team oriented individual to join the team in our Guelph office. The main objective of the Corporate Client Support Representative is to provide high-end customer service, account maintenance, and sales support to the B2B Sales team and their clients. Ability to perform well in a team environment, with a spirit that looks to support the team by sharing tasks and responsibilities’ to meet the demands of the business. Demonstrate professional communication skills both in person and over the telephone. Participate in sales order implementation including: Project creation, project monitoring, data collection, data entry, product preparation, and shipping. Provide administrative support to Sales Manager, Account Managers, and other staff as required. Complete daily reports including cash total, inventory, etc. as needed. Answer and direct phone calls to appropriate staff members. Monitor general office appearance, merchandizing, general order & cleanliness. Practice continuous learning in order to remain up to date on new technology, products and promotions. Are you a client-focused, task-oriented, technically inclined person who thrives in an ever-changing environment of continuous learning? We have an exciting opportunity for an energetic, career-driven individual to join the high-performing team in our beautiful Kitchener office. The Client Lifecycle Specialist is responsible for managing and maintaining a portfolio of existing client accounts; building relationships through regular touch points; and generating revenue by actively seeking referral business, account renewals, account add-ons, and through the introduction of new products and services. Maintain consistent, regular communication with clients to ensure client satisfaction with solutions and service. Manage client data in CRM, ensuring all communications are logged, information is accurate and documents are attached. Negotiate and secure sales opportunities on the behalf the client base in relation to TELUS services. Conduct a needs analysis and determine prospects pain points to determine how the TELUS solution will speak to those needs. For over two decades, C&I Technologies has provided information technology and communications solutions to business clients across Southwest Ontario. 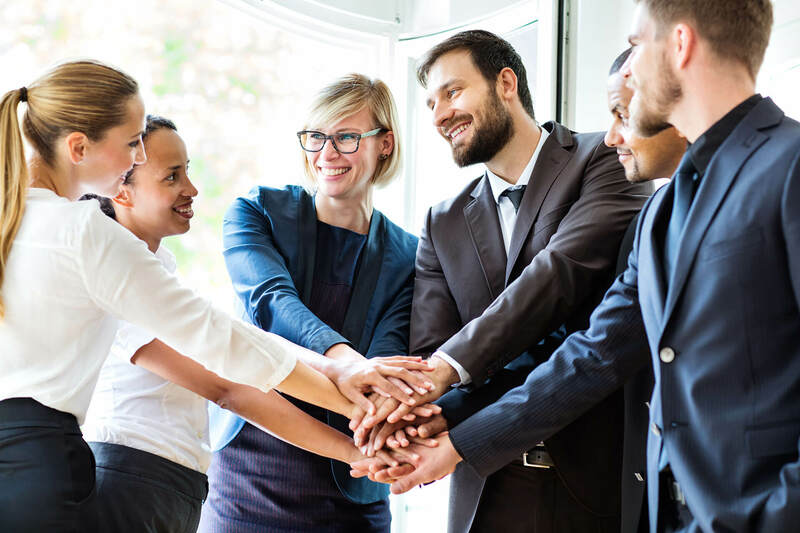 C&I Technologies is an organization that commits itself to client satisfaction and retention; a place where people strive to make a difference in our clients’ businesses, and where we recruit and train only the best people to hold on to that tradition. As a TELUS Business Excellence Platinum Partner, we are on a mission to enable businesses to be more successful through the use of wireless & telecommunication solutions geared to support mobile employees. We like to have fun but we work hard, because staying on top requires continuous improvement, creativity, and dedication. Are you spirited, self-motivated; the kind of person who always has a different view of the world, and loves to debate? Are you passionate about new technologies? Are you fun to be around and do people seek your guidance? Are you at home uncovering problems and opportunities, and then recommending solutions? Do you enjoy talking about money? If so, you could be one of our next President’s Club stars! The primary objective of the Account Executive is to drive sales of the TELUS suite of business solutions within the SMB marketplace, through developing the account strategy, executive relationship management and negotiations. Confident to teach the client something new or challenge their thinking. Able to offer insight.